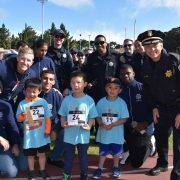 The SFPAL 49ers Football and Cheer 2017 season was another great success. 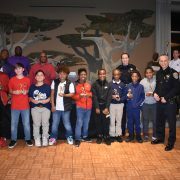 On January 21, 2018, SFPAL held the Annual Awards Banquet at the Scottish Rite Center to celebrate the kids and volunteer coaches. 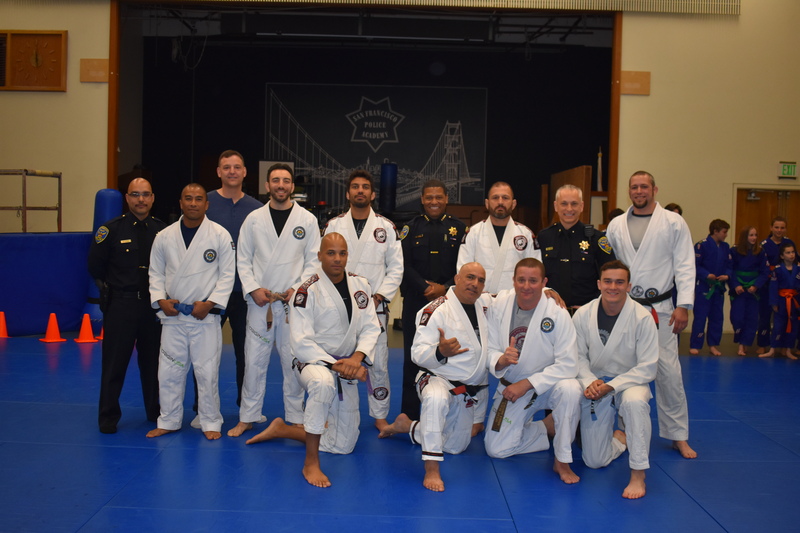 SFPAL also honored volunteer coach, Lamar Williams, for dedicating over 17 years of service to the organization and the kids. 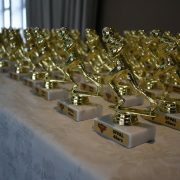 Pictures of the event can be found here. 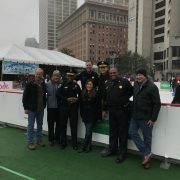 On 12/22/2017 Boston Properties 2nd Annual Winter Wonderland in partnership with SFPAL and SFPD took place at the Herman Plaza ice skating ring. 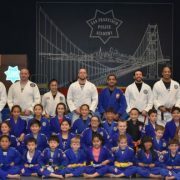 The event brought out over 200 kids from around the City of San Francisco, who enjoyed a visit with Santa, Christmas arts and crafts, a free lunch, and hours of skating in the sunny but crisp air. 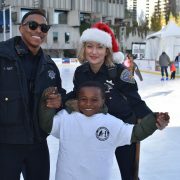 Lots of smiling faces could be seen on the kids and officers faces, who braved the ice that morning. Pictures of the event can be found here. 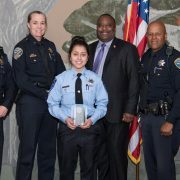 What an amazing night, honoring our Cadet Captain Samantha Morales along with fellow Cadets for their service to the community of San Francisco. Grateful for the Asian Pacific Islander Forum and their support for our programs. More pictures to come soon. 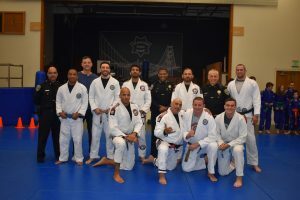 3rd Annual St. Luke’s Toy Drive– Another success! 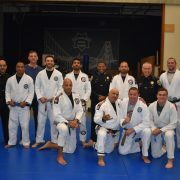 Our 3rd Annual Toy drive in partnership with SFPD, Costco, SFPOA and the SFPCU was another great success. 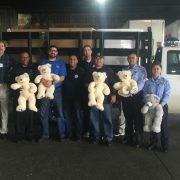 SFPAL was able to hand out over 300 teddy bears this past week at St. Luke’s Hospital and put endless smiles on our City’s kids. For pictures of the event, please click here. 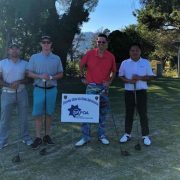 http://www.sfpal.org/sfpal/wp-content/uploads/2017/12/IMG_7311-e1513000998942.jpg 1875 2500 Sabine Medrano http://tipsforfishing.net/sfpal/wp-content/uploads/2017/08/SFPAL-logo-300x300.png Sabine Medrano2017-12-11 14:03:472017-12-11 14:16:093rd Annual St. Luke's Toy Drive-- Another success!